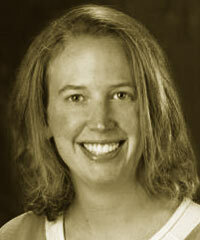 Edie Sonne Hall has worked in the Sustainable Forest and Products group at Weyerhaeuser Company since 2005. She focuses on ecosystem services, forest carbon accounting and climate change policy, life-cycle assessment and carbon footprint, and overall corporate sustainability. Over the years she has been an active participant in state, regional, and national stakeholder groups on forest carbon policy, biomass energy, and ecosystem services. Sonne Hall is responsible for measuring and reporting ecosystem services on Weyerhaeuser’s Timberlands and has worked with the World Resources Institute (WRI) and World Business Council for Sustainable Development (WBCSD) Ecosystem Services Review framework to adapt a measurement methodology that is compatible with large forestland holdings.